News TV Channel / WSVN, virtual and VHF digital channel 7, is a Fox-affiliated television station licensed to Miami, Florida, United States and also serving Fort Lauderdale. It is the flagship station of locally owned Sunbeam Television. 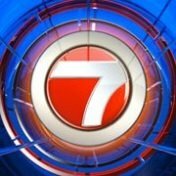 WSVN maintains studio facilities located on 79th Street Causeway (SR 934) in North Bay Village (though with a Miami address), and its transmitter is located in north Miami-Dade County. The station's signal is relayed on low-powered translator WKIZ-LP (channel 49) in Key West.